I still remember the first time I met Dr. Eilat Mazar. 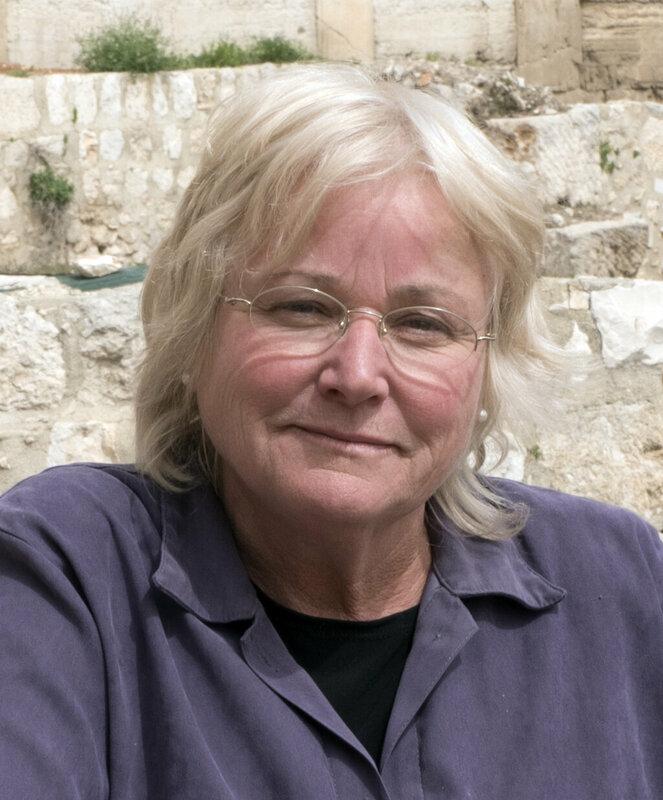 She is one of the warmest individuals I have met, and she has an infectious passion for Jerusalem archaeology. We quickly bonded over our love of Jerusalem and our shared history. This year marks the 50th anniversary of our partnership with the Mazar family. 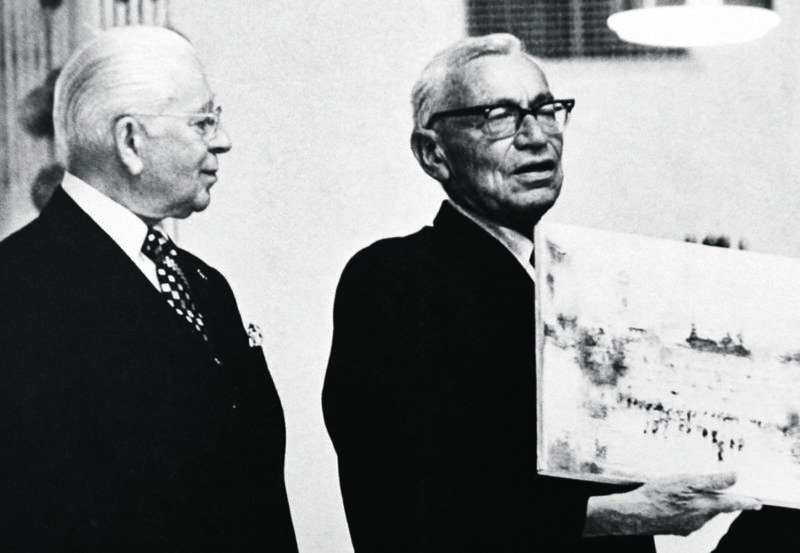 The relationship began in November 1968, when Benjamin Mazar, Eilat’s grandfather, met Herbert W. Armstrong, the chancellor of Ambassador College and the founder of our organization. The bond was sealed on December 1, when Mr. Armstrong and Israel’s president at the time, Zalman Shazar, met at the presidential home in Jerusalem. Between 1968 and 1985, Mr. Armstrong visited Israel more than 50 times. He was close friends with many of the nation’s highest leaders. He met with every prime minister and president of Israel who held office over that period, including Golda Meir, Yitzhak Rabin, Menachem Begin and Shimon Peres. He was especially close to Jerusalem Mayor Teddy Kollek. Our relationship was restored in August 2006, when my son, Stephen, first began communicating with Dr. Mazar. Eilat was just about to start another phase of her excavation of the palace of King David in the City of David. Almost immediately Dr. Mazar invited us to join her on the dig. I eagerly accepted the invitation and put some of our students on a plane to Israel. Since 2006, we have sent more than 57 diggers to Jerusalem to work on Dr. Mazar’s excavations. Our students comprised most of the laborers on Dr. Mazar’s most recent dig, which we also fully funded. 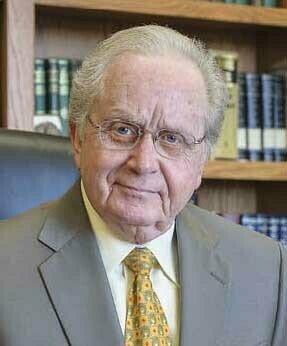 Over the past 12 years, Herbert W. Armstrong College has participated in every one of Dr. Mazar’s excavations in the City of David and on the Ophel. During this time, Dr. Mazar has discovered some of the most stunning and important artifacts that I believe have ever been uncovered anywhere. Since 2005, she has unearthed evidence of King David’s palace, King Solomon’s royal quarters, the governor Nehemiah’s wall, the seals of two Judean princes mentioned in Jeremiah 37, and, more recently, the golden Menorah Medallion and bronze coins. That’s quite a remarkable record. 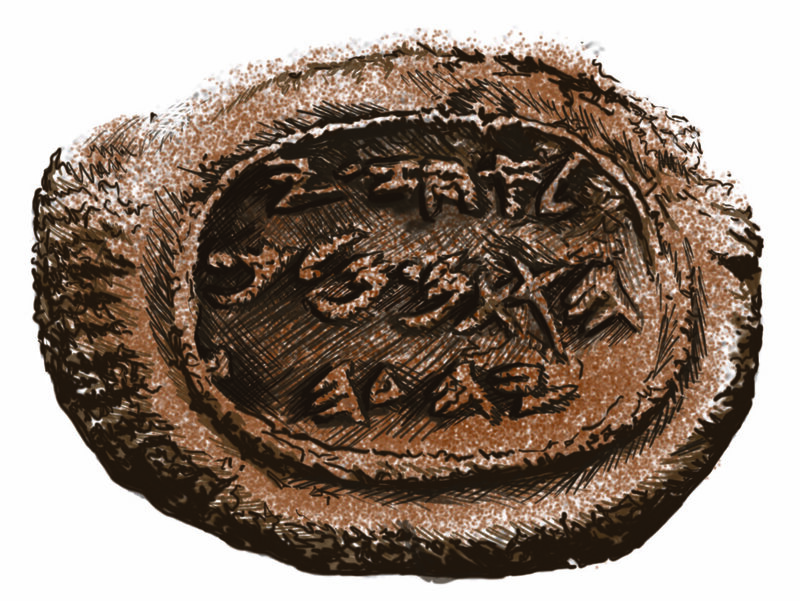 Then there are the seals of King Hezekiah and Isaiah. It’s impossible to rank Dr. Mazar’s finds in order of importance; each discovery is significant in its own way. 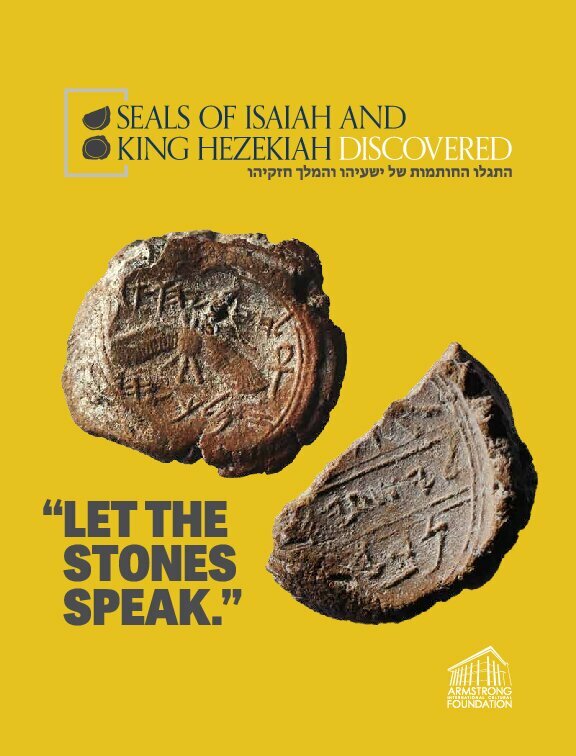 However, I believe that the seals of King Hezekiah and Isaiah—exhibited for the first time ever in Armstrong Auditorium—are unique and extra special. Each artifact is extraordinary and important in its own right, but the power here is the pairing of these artifacts. 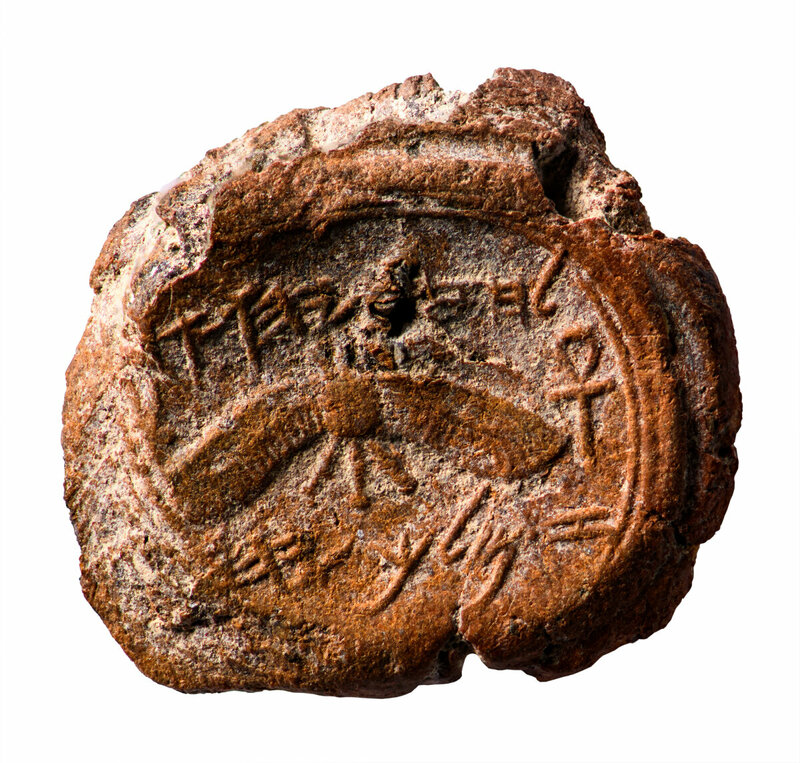 It is incredibly rare to find a seal of King Hezekiah in the right archaeological context. 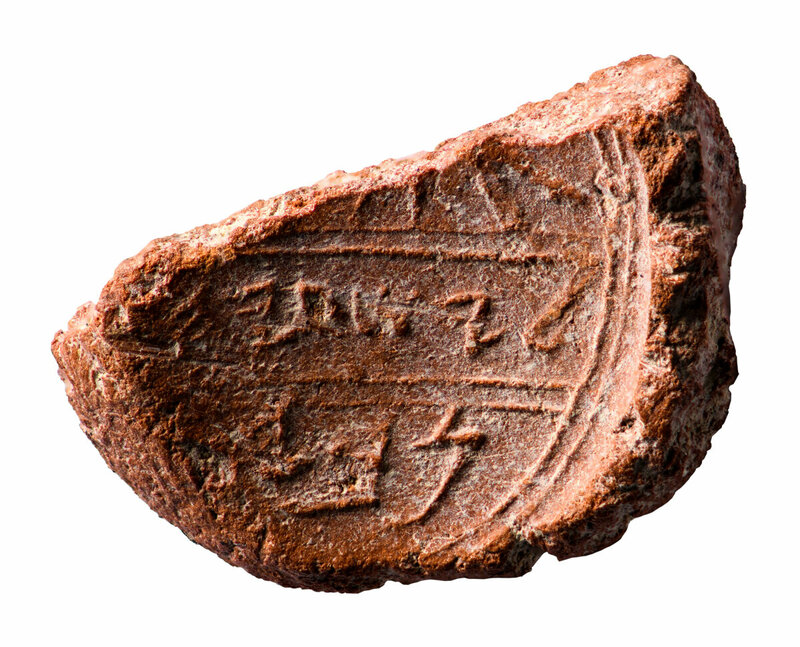 Dr. Mazar discovered not only the seal of Judah’s second-greatest king, but also the seal of one of Judah’s greatest prophets. And they were found in the same layer of soil, just a few feet apart. These artifacts have special meaning for the people of Israel, and for all humanity. These seals are the fruit of Dr. Mazar’s most important work and our wonderful 50-year partnership. I cannot think of a better way to celebrate this anniversary than for Armstrong International Cultural Foundation to have the privilege of showcasing these sensational artifacts. Dr. Mazar is a scientist, and I’ve heard her state many times that “we must let the stones speak.” We have tried to follow Dr. Mazar’s guiding principle in this exhibit. We have tried to let archaeology and documented historical records—both biblical and secular—speak for themselves. For me, one of the most compelling facets of this exhibition is the way we have juxtaposed biblical and secular history. This is not just Bible history; it is Assyrian and Babylonian history too. 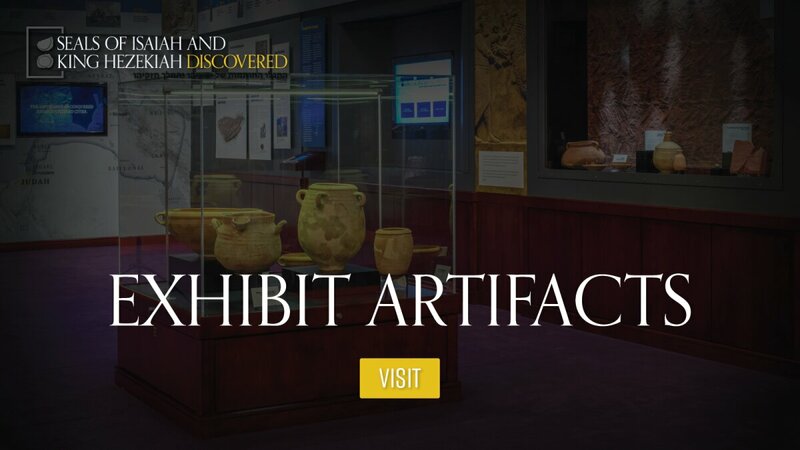 In this exhibit, we have tried to bring to life some of the most dramatic and inspiring ancient history you will ever read. 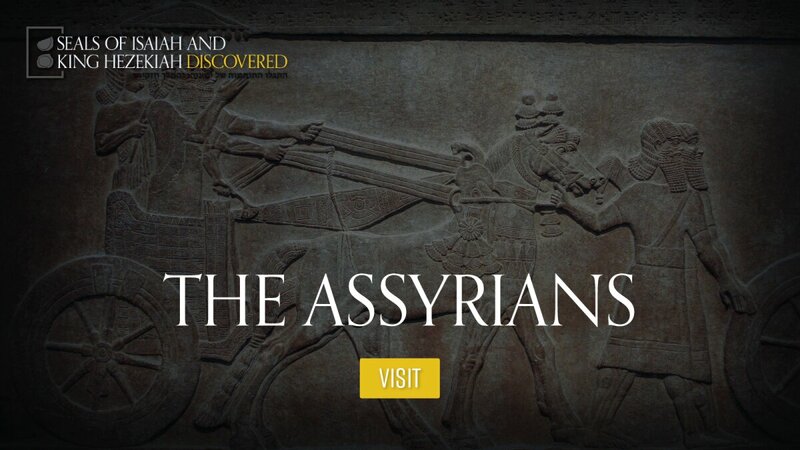 This is the story of Assyria’s conquests; it is a story of repentance, redemption and national salvation. It is the story of how God, through a remarkable king-prophet alliance, saved a city and its people from terrorism, war and conquest. It is the ultimate story of hope. Take as much time as you need to let this history— and the lessons it carries—sink in. You are welcome to take this brochure home. If you have questions, please ask one of our exhibit guides. These young people are knowledgeable about this history. If you have feedback, we would love to hear it. Finally, I would like to express my deepest gratitude to Dr. Mazar for her vital contributions to this exhibit. Not only did she uncover these artifacts, she was also an invaluable resource in preparing and creating the exhibit. Indeed, without Eilat, there would be no exhibit and no seals of King Hezekiah and Isaiah. We deeply value our long partnership with Dr. Mazar and her grandfather. We consider it a marvelous blessing to have been by her and her grandfather’s side these past 50 years, and we look forward to continued collaboration. We hope you enjoy your time here, and remember: Let the stones speak. By the mid-eighth century B.C., the Assyrian’s had expanded to become the world’s first great empire. Assyria is widely considered the world’s first great empire. The Assyrians were a warrior race with a thirst for conquest and war; they are infamous for their cruelty toward enemies. The Assyrians inhabited Upper Mesopotamia (modern-day Iraq, Syria and Turkey). Assyria’s capital, Nineveh, was situated on the east bank of the Tigris River. The Assyrians were the descendants of Asshur, the son of Noah’s son Shem (Genesis 10:22, 11). Assyria’s ancient history has been heavily documented with a wealth of archaeological finds, including thousands of inscriptions, ornate wall decorations and art pieces, alongside large buildings and palaces. The Assyrians also feature heavily in the biblical record. Most references describe their interactions with the kings of Israel and Judah. Through the Prophet Isaiah, God calls the Assyrians “the rod of my anger, the staff of my fury!” (Isaiah 10:5; Revised Standard Version). At the beginning of the eighth century b.c., Assyria was in a precarious situation. Internally, its leadership had been weakened by infighting. Externally, the power of its neighbors— particularly Syria and Babylon—was growing. In 745 b.c., Assyria’s decline was halted when strongman Tiglath-Pileser iii seized control of the kingdom. He initiated a host of internal reforms and soon restored political stability and military strength. With his kingship secure and Assyria’s power restored, Tiglath-Pileser iii turned his attention to foreign conquest. In 743 b.c., he began campaigns against Syria, Babylon and Armenia; by the end of his roughly 20-year reign he had subjugated virtually the entire Middle East. Nations had either been conquered outright or escaped destruction by agreeing to pay tribute. Following the death of King Solomon, the nation of Israel split into two kingdoms: Israel and Judah. Following the death of King Solomon around 931 b.c., the nation of Israel split into two kingdoms: Israel and Judah. The northern kingdom of Israel was comprised of the 10 tribes and was led by Jeroboam, an Ephraimite. The southern kingdom of Judah was comprised of the tribes of Judah, Benjamin and most of the Levites. 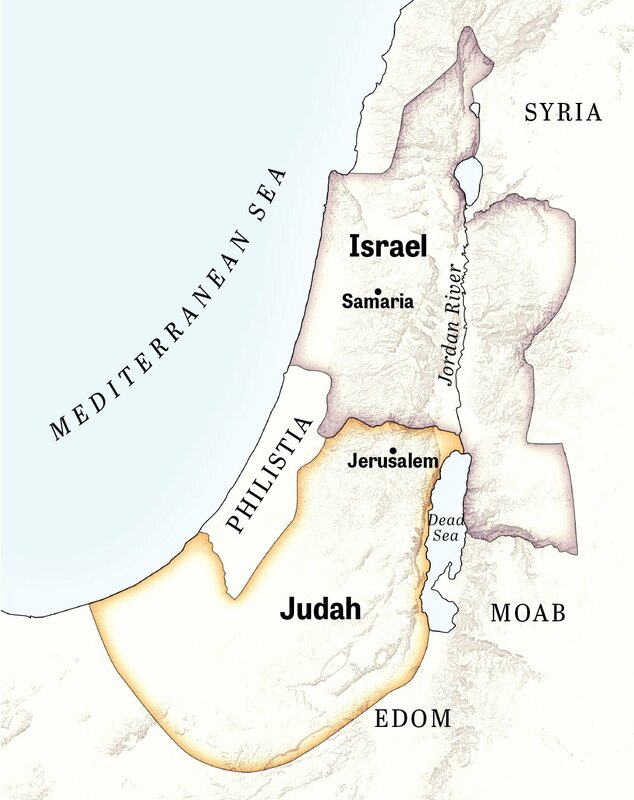 The split diminished the power of both Israel and Judah. By the eighth century b.c., large and aggressive empires, including Assyria, Syria, Babylon and Egypt, surrounded both kingdoms. When Tiglath-Pileser iii invaded Israel in the mid-eighth century, Israel’s King Menachem stayed his hand by paying tribute to Assyria. After Menahem died, his son, Pekahiah, reigned for two years before being murdered and replaced by Pekah, an Israelite captain. Tiglath-Pileser invaded Israel during the reign of King Pekah. He conquered large swathes of territory and took thousands of captives back to Assyria (2 Kings 15:29). King Pekah was murdered by Hoshea, who seized the throne for himself. He would be Israel’s last king. 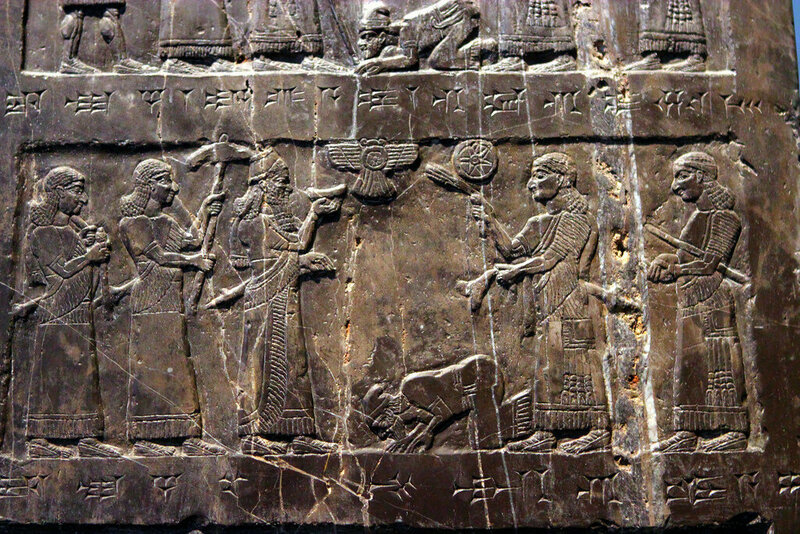 The Black Obelisk: A kneeling king Jehu of Israel presents tribute to Shalmaneser III of Assyria. Tiglath-Pileser iii died around 727 b.c. and was succeeded by his son Shalmaneser v. King Hoshea initially continued to pay yearly tribute to Shalmaneser, but after forming an alliance with King So of Egypt, he stopped. Assyria’s king was furious. In 721 b.c., he led his army to Israel’s capital, Samaria. In 718 b.c., after a three-year siege, Samaria fell to the Assyrians. The remaining Israelites were deported to Assyrian territory on the southern shores of the Caspian Sea; they were replaced with a people who became known as the Samaritans (2 Kings 17). Judah in the Eighth Century B.C. Of the 21 kings who ruled Judah leading up to its destruction in 585 b.c., only five were recorded as righteous. One of these was King Jotham. His son, Ahaz, who began his rule in 739 b.c., did not follow his father’s positive example. Instead, he led the nation into idolatry. Ahaz stopped the temple service in Jerusalem, worshiped pagan gods, and even sacrificed some of his own children. 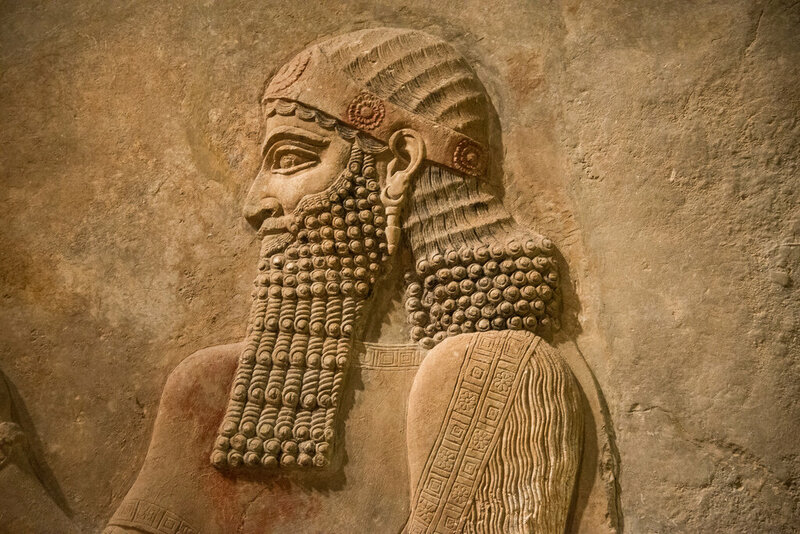 When Syria and Israel joined forces against Judah, King Ahaz stripped gold from the temple to pay Assyria’s King Tiglath-Pileser iii for protection (2 Kings 16:8). While this decision neutralized the threat from Israel, getting entangled with Assyria caused long-term problems. Tiglath-Pileser increasingly harassed Judah and demanded more regular and more costly tributes. Assyrian history records Tiglath-Pileser receiving tribute from King Ahaz. Ahaz died in 724 b.c., leaving his crippled vassal state to a son who had somehow survived his pagan sacrifices: Hezekiah. Hezekiah was 25 years old when he assumed the throne of Judah. 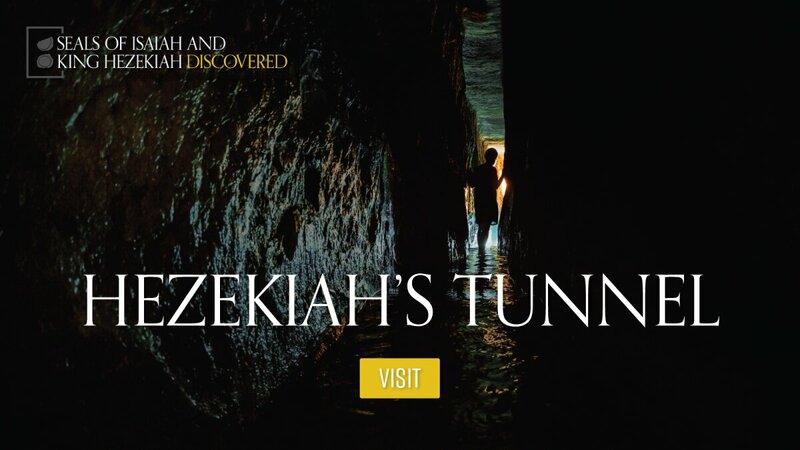 From day one, Hezekiah set about demolishing pagan worship, renovating the temple and restoring right temple worship, cleansing the priesthood, and reestablishing God’s law in the land. Hezekiah’s first priority upon becoming king was to prepare the nation to keep the Passover and the Days of Unleavened Bread. He even dispatched messengers to the northern kingdom to warn the Israelites of their sins and invite them to visit Judah to commemorate these sacred festivals. The Prophet Isaiah witnessed Israel’s destruction, Hezekiah’s reforms and the later Assyrian incursion into Judah. Isaiah served through the reigns of five kings of Judah (Uzziah, Jotham, Ahaz, Hezekiah and Manasseh). He lived from around 775 to 687 b.c., making him one of the longest-serving biblical prophets. The prophets Jonah, Hosea, Amos and Micah were all contemporaries of Isaiah. Isaiah most likely lived with his family inside the royal complex on the Ophel in Jerusalem. He was an official historian to Judah’s kings. Isaiah was married to a prophetess, and together they had at least two sons, Shearjashub and Mahershalalhashbaz. According to Jewish tradition, Isaiah also had a daughter, Hephzibah. Isaiah appears to have been a royal prophet. According to tradition, his father, Amoz, was brother to Judah’s King Amaziah. Ancient Jewish records show that Isaiah’s daughter eventually married King Hezekiah. The Prophet Isaiah wrote his prophecies on a tablet, which he presented to the inhabitants of his day. He also recorded his prophecies on a scroll, to preserve them “for the time to come” (Isaiah 30:8). Isaiah prophesied against the temple priests in Judah and the northern kingdom of Israel. He also prophesied about the rise and fall of surrounding nations. In one prophecy, he even explained in detail the life and work of the Persian King Cyrus. This prophecy is found in Isaiah 44-45—a passage that was written 200 years before the events it describes. Many of Isaiah’s prophecies focused on a future millennial world in which war would cease, the dead would be raised, wild animals would become tame, and the Messiah would rule over all mankind. The details of Isaiah’s death are not recorded in the Bible. According to Jewish tradition, Hezekiah’s son Manasseh was frustrated by Isaiah’s prophecies and had the prophet, his own grandfather, sawn in two. The New Testament may refer to Isaiah in Hebrews 11, which recalls Old Testament figures and says, “[T]hey were stoned, they were sawn in two, they were killed with the sword” (verse 37; Revised Standard Version). King Sennacherib’s army moved through Judah swiftly. To use a modern term, it was blitzkrieg. According to ancient records, Assyria conquered 46 fortified cities of Judah in less than 12 months—almost one city per week. At first, King Hezekiah sought assistance from Egypt. Artifacts from the period indicate a significant relationship between Judah and Egypt—a partnership that the Prophet Isaiah warned against (Isaiah 30 and 31). 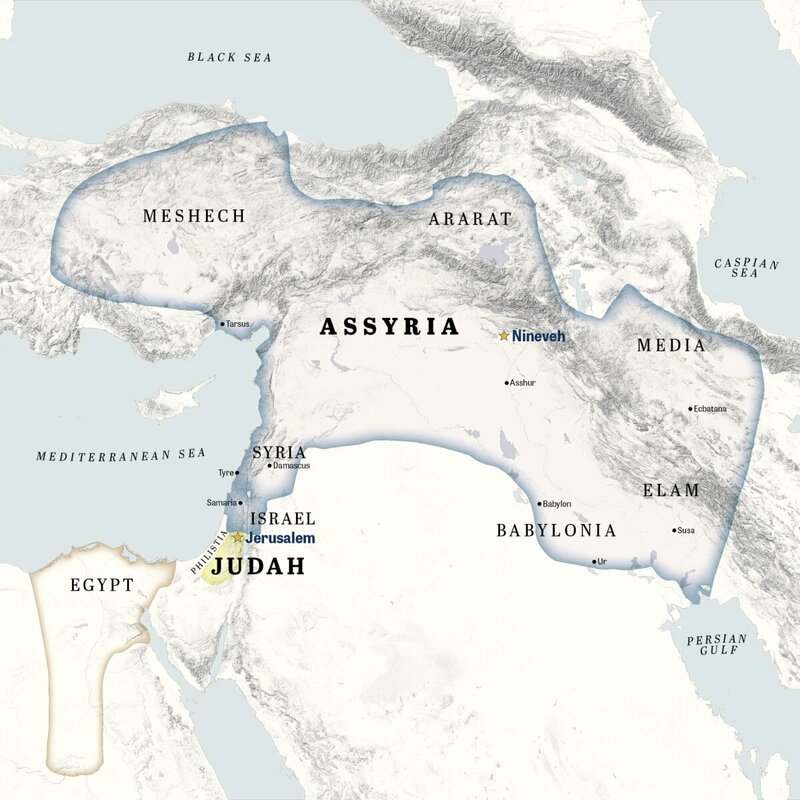 Judah’s effort to recruit Egypt was futile, and the Assyrians moved through Judah unimpeded. One of Judah’s largest and most important cities, Lachish, was situated about 38 miles southwest of Jerusalem. It was extremely well fortified, having been built on a high mound and then further secured with man-made defenses. However, the city could not withstand the Assyrian war machine. Assyria’s destruction of Lachish is well documented, both biblically and in secular history. 2 Chronicles 32:9 says that King Sennacherib “himself laid siege against Lachish, and all his power with him ….” Sennacherib documented his siege of Lachish in massive carved portrayals, known as reliefs, on the walls of his palace in Nineveh. From left to right, these impressive reliefs display the gradual destruction of Lachish and the torture and enslavement of thousands of Jews. 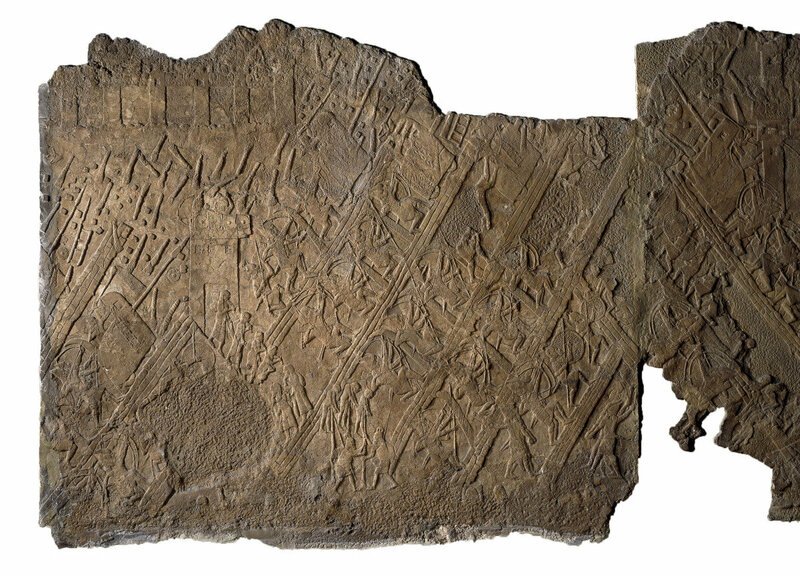 The scenes inscribed on the reliefs can be divided into three general chapters. The first chapter depicts Assyrian soldiers marching on Lachish. The second shows Assyrian engineers building a massive earth ramp; it includes images of siege machines atop, masses of soldiers attacking the city, and prisoners impaled on pikes and having their throats cut. The final chapter portrays scenes of Jewish captives being tortured and marched out of the city. One famous scene depicts Jewish captives being made to bow before King Sennacherib, who had set up his throne at the front gate of Lachish. In a desperate effort to placate Sennacherib, King Hezekiah sent tribute to the king at Lachish. He had hastily gathered a monstrous haul of spoils, including valuables stripped from the temple (2 Kings 18:14-16). Receipt of this payment is recorded on Sennacherib’s Winged Bull Inscription. By attempting to buy protection using wealth stripped from the temple, King Hezekiah repeated the mistake of his father, Ahaz. The result was the same: Hezekiah’s gesture revealed his vulnerability and emboldened the Assyrian king. With the fall of Lachish inevitable and King Hezekiah seemingly ready to negotiate, Sennacherib dispatched messengers to the only city standing between him and ultimate victory. King Sennacherib turns his army toward Jerusalem. Sennacherib sent his top commander, the Rabshakeh, and a retinue of Assyrian soldiers to deliver a message to King Hezekiah. When the Assyrian commander arrived in Jerusalem, Hezekiah instructed Eliakim, the governor of the royal household, to go out and converse with the Assyrians. During Rabshakeh’s diatribe, the Jews “held their peace” and followed Hezekiah’s instruction to “answer him not” (2 Kings 18:36). Rabshakeh returned to Lachish. Following his return, King Sennacherib himself wrote to Hezekiah. In his letter he denigrated Hezekiah’s God and assured him of Jerusalem’s imminent destruction if the nation did not peacefully surrender (2 Kings 19; 2 Chronicles 32; Isaiah 37). The situation was grave. The Assyrians were about to conquer Lachish and were now making preparations to fall upon Jerusalem. Despite the grim predicament, Judah’s king was not without hope. 2 Kings 19 and 2 Chronicles 32 record his inspiring reaction. Hezekiah “rent his clothes, and covered himself with sackcloth, and went into the house of the Lord” to pray (2 Kings 19:1). Following the fall of Lachish, the Assyrian army headed south to battle Egypt. During this expedition, Sennacherib sent a letter to King Hezekiah assuring him that he would return to wage war on Jerusalem. Verse 14 records the king’s reaction: “Hezekiah went up into the house of the Lord, and spread it before the Lord.” With Sennacherib’s letter spread before him, the king pleaded for divine protection. Hezekiah lays Sennacherib’s letter on the ground and prays for God’s help. Jerusalem was surrounded—185,000 Assyrian soldiers were encamped on the outskirts of the city, sharpening their weapons, preparing siege implements, waiting for orders to attack. The Jews in Jerusalem were trapped. The siege had begun; no one could leave or enter the city. Then, late one night in the enemy camp, Assyrian soldiers suddenly began dropping dead. Thousands of vigorous, highly trained, experienced soldiers were dying for no apparent reason. At dawn, when the watchmen on the walls of Jerusalem peered into the Assyrian camp, they were speechless. The entire Assyrian army, 185,000 soldiers, lay dead. King Sennacherib was left with no choice but to return to Nineveh, shocked and humiliated. Upon his return, Sennacherib set his artists to work recording his impressive military campaign in Judah. The king adorned the walls of his palace with images of the siege of Lachish. He recorded his destruction of Azekah. 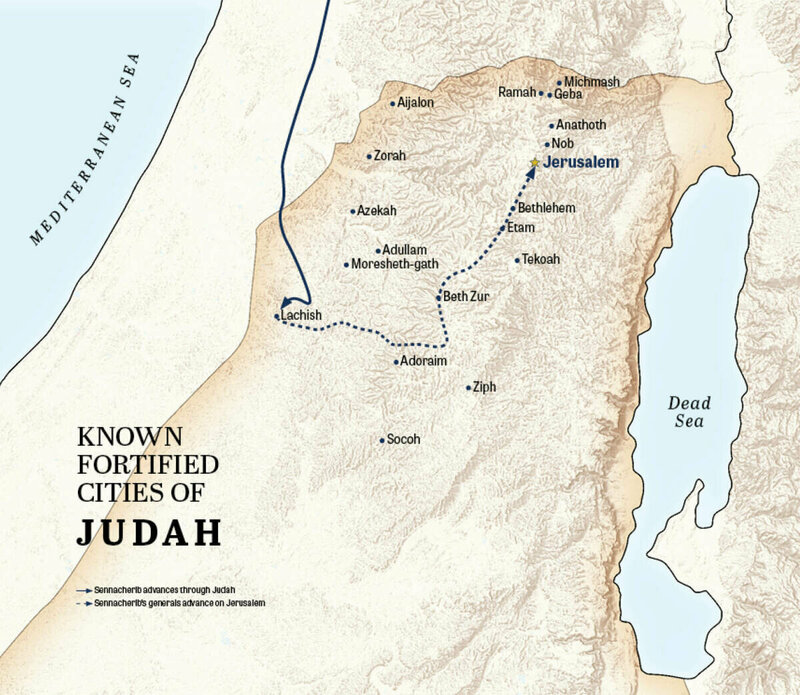 He chronicled his subjugation of 46 of Judah’s fortified cities. 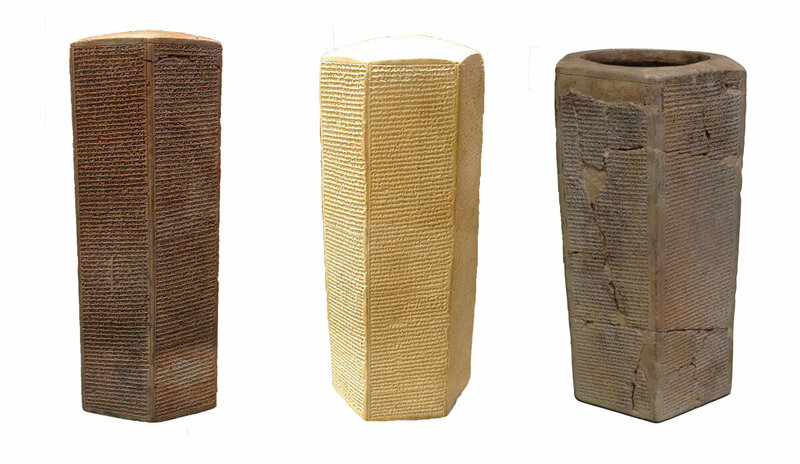 Among the items Sennacherib commissioned were the three clay prisms. These prisms document King Sennacherib’s victories in Judah and specifically mention Assyria’s destruction of 46 Judean cities, including the large cities of Azekah and Lachish. But what about Jerusalem? Sennacherib boasted about his siege on Jerusalem and trapping King Hezekiah “like a caged bird.” Yet among the volumes of reliefs, inscriptions and ancient records and artifacts documenting King Sennacherib’s campaign in Judah, it is not once mentioned that he captured Jerusalem. Even today, historians study the annals of Sennacherib and are perplexed. 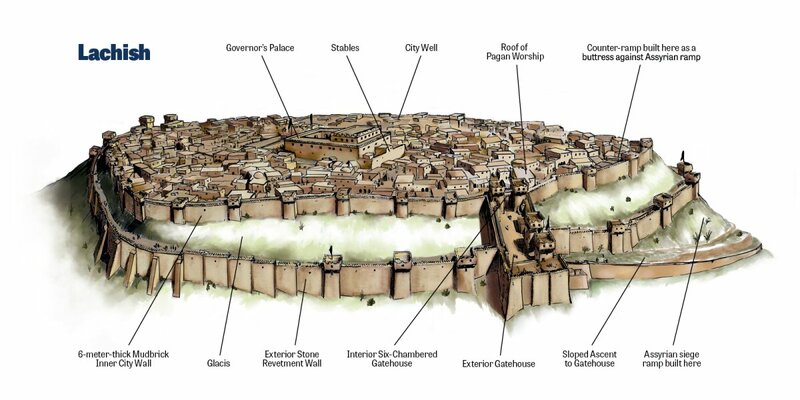 Why would Assyria’s king boast of trapping King Hezekiah “like a caged bird” in Judah’s most prestigious city, the center of Judah’s identity, yet refrain from conquering Jerusalem? Ancient records show that King Sennacherib was later killed by his sons, just as Isaiah prophesied. One Babylonian document implicates Arda-Mulissi (the biblical Adrammelech) for the murder. Evidently, he teamed up with his brother Nabu-sarru-usur (biblical Sharezer) to kill their father, which they did while he was worshiping. During the siege on Jerusalem, King Hezekiah became fatally ill. He was close to death when the Prophet Isaiah told him: “Set thine house in order; for thou shalt die, and not live” (2 Kings 20:1). Upon hearing the news, Hezekiah turned and delivered a tearful prayer. The Bible says God was so moved by this prayer that He told Hezekiah, through Isaiah, that He would extend his life by 15 years. As a sign of the divine promise, God turned the sun back 10 degrees (verses 10-11). Evidence of this miracle is recorded in Egyptian records. The healing was necessary not only for Hezekiah’s well-being, but also because the king had not yet produced an heir. Three years after Hezekiah’s recovery, his son, Manasseh, was born. 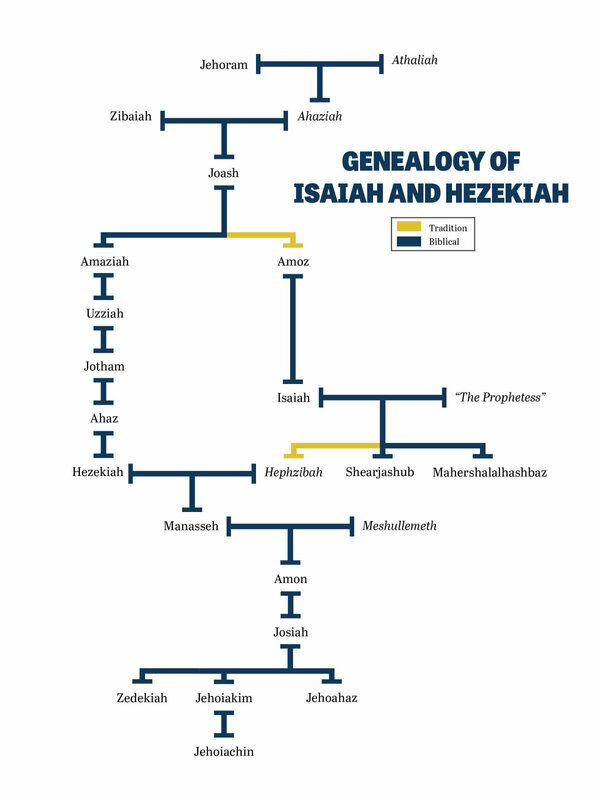 Tradition states that Manasseh’s mother, Hephzibah, was the daughter of the Prophet Isaiah.